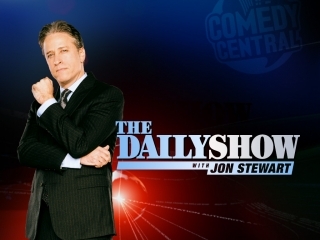 Everyone knows that Jon Stewart notoriously addresses bad behavior. But when Seth MacFarlane recounted the verbal tongue lashing he received from Stewart during the 2008 writer’s strike — I was shocked. Who knew Jon Stewart made house calls? The irony of the writer’s strike is that while many writers fought for more — they ended up with less. The main issues being asked for at the time, included: a higher DVD residual rate on DVD sales; compensation for new media (such as internet streaming of television shows); and obtaining writing credit for work on reality television (at the time this was considered a “non-scripted” medium). But while the writers were fighting, Hollywood suffered, and many shows were canceled because the ratings didn’t recover from the extended hiatus. As a result, jobs were lost. David Letterman led the moral pack by paying his own writers out of pocket during the strike, and he later struck a deal with the Writers Guild, which allowed his staff to return without crossing the picket line. It was rumored that Stewart attempted and failed to negotiate a Letterman-style deal, so he instead chose to air his show without his writers. But he was between a rock and a hard place. Had he gone dark, many non-writers working on The Daily Show at the time stood to lose their jobs. Did he make the right choice? Is it arguable? And if it is arguable, did Seth MacFarlane have a right to take a stand?